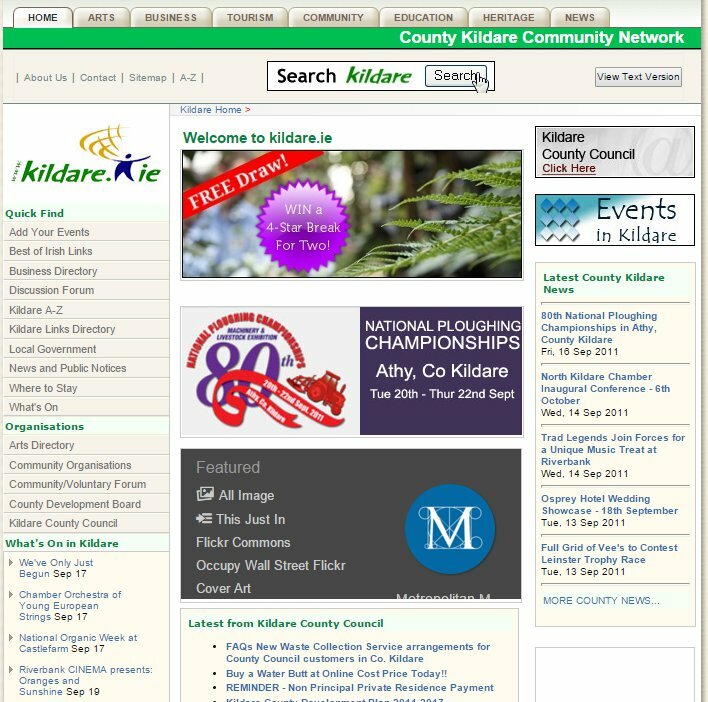 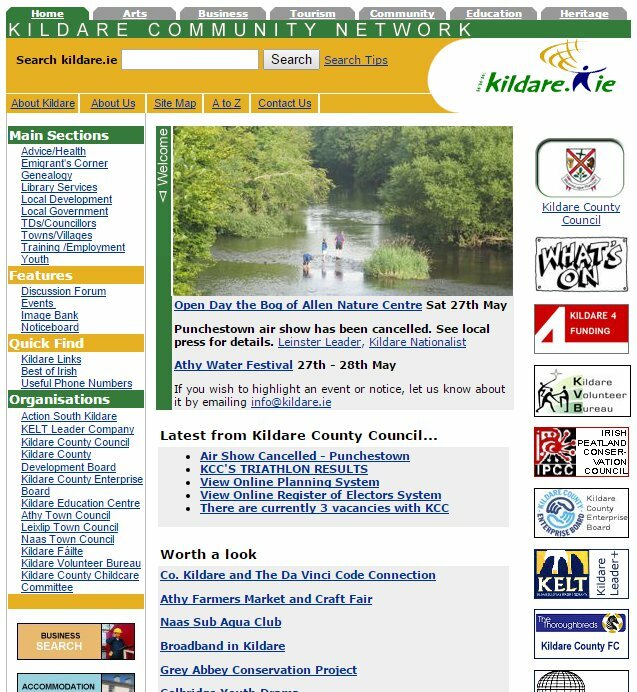 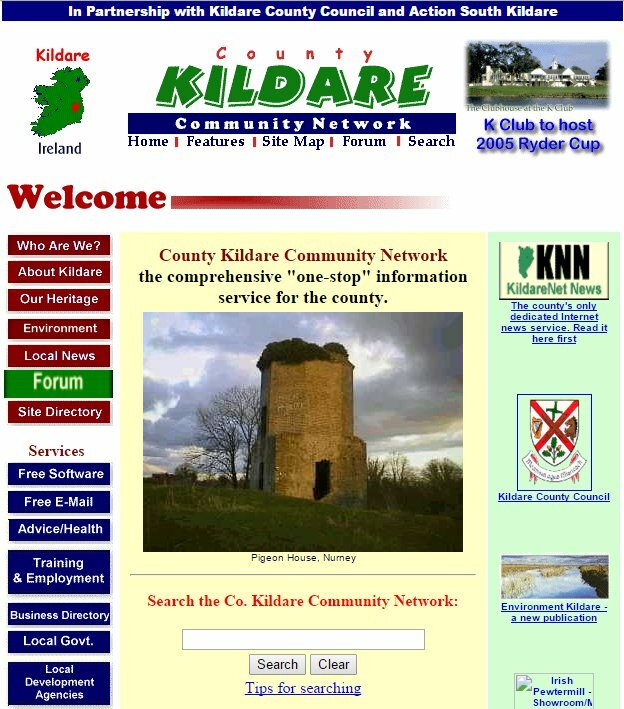 The County Kildare Community Network launched www.kildare.ie in January 1998. 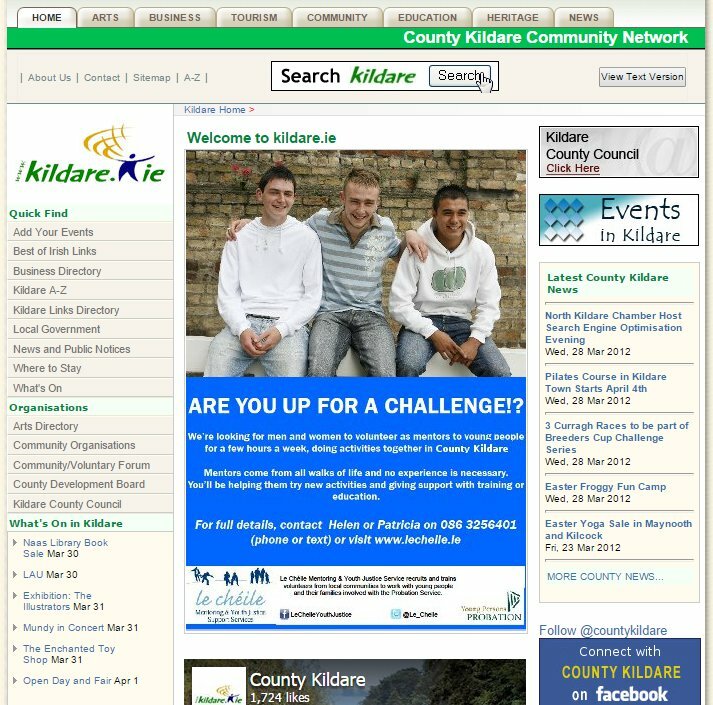 The Community Network was the product of a partnership of various agencies, including Action South Kildare (ASK), Kildare County Council, and FÁS. 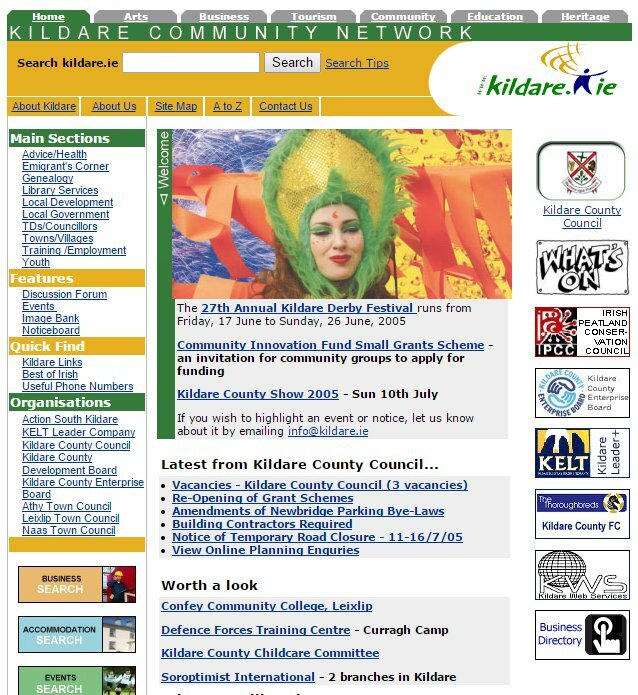 The ideas that led to the formation of the network were instigated in 1996/7. 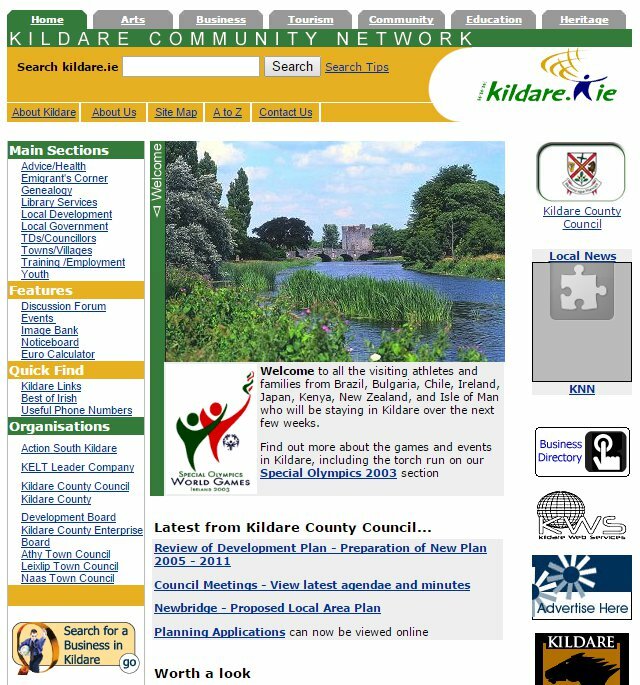 Action South Kildare applied to the EU under the Horizon Programme for funding and this started the Information Capital 2000 programme. 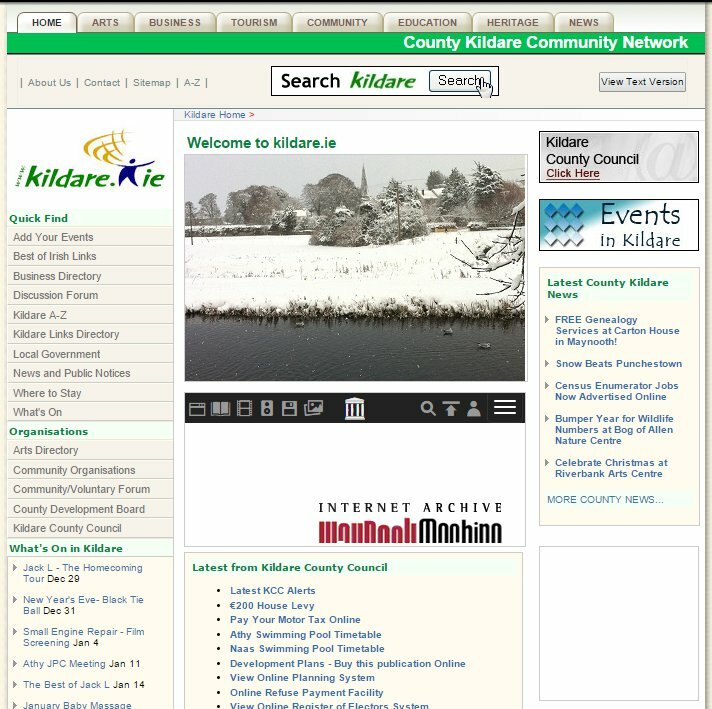 As a result of this programme it was proposed that a community network, a single co-ordinated information resource easily dispersed among agencies and communities, be developed. 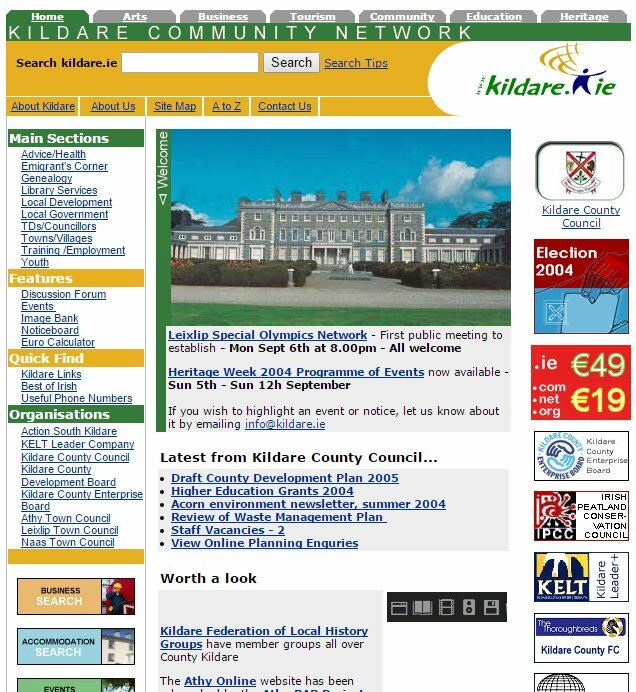 A committee was formed and they produced a position paper as a background to this proposal. 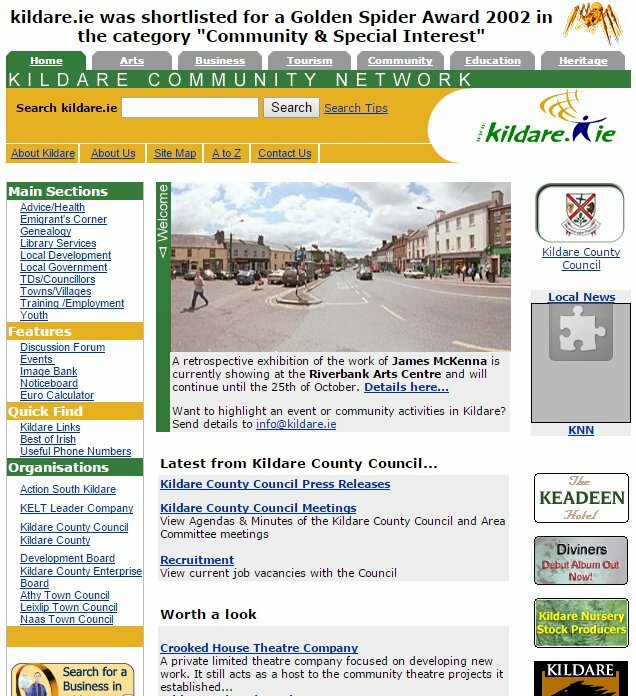 This position paper included recommendations for setting up a community network. 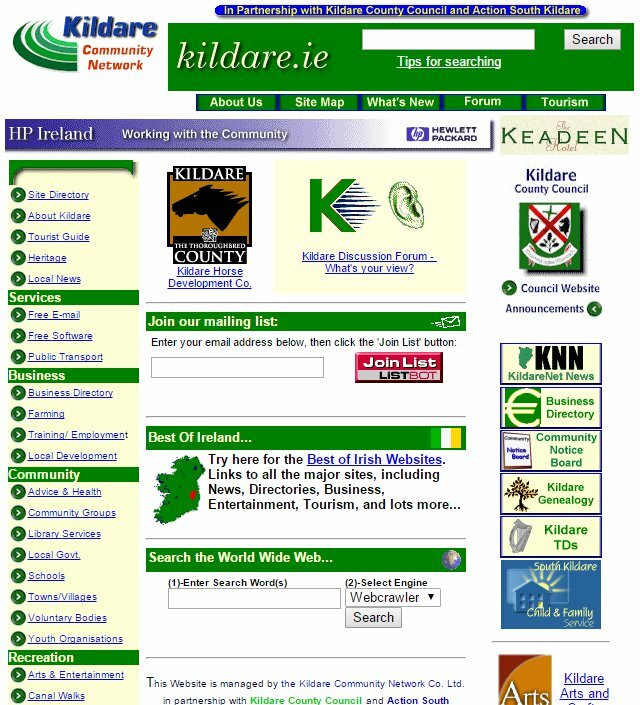 The vehicle for dispersing information would be the world wide web, and following negotiations with Kildare County Council, it was agreed to use the kildare.ie domain for this purpose. 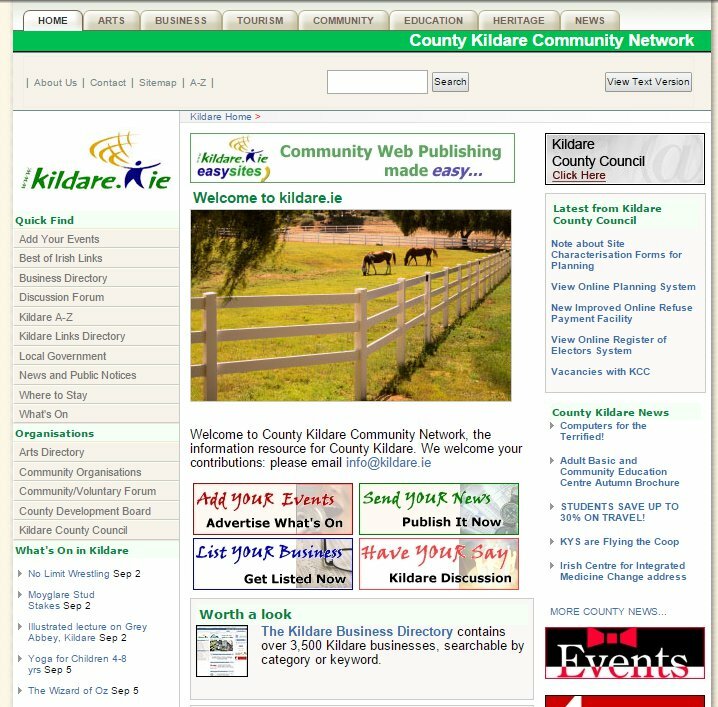 Support for the network and technical expertise was provided by Action South Kildare, FÁS and Kildare County Council. 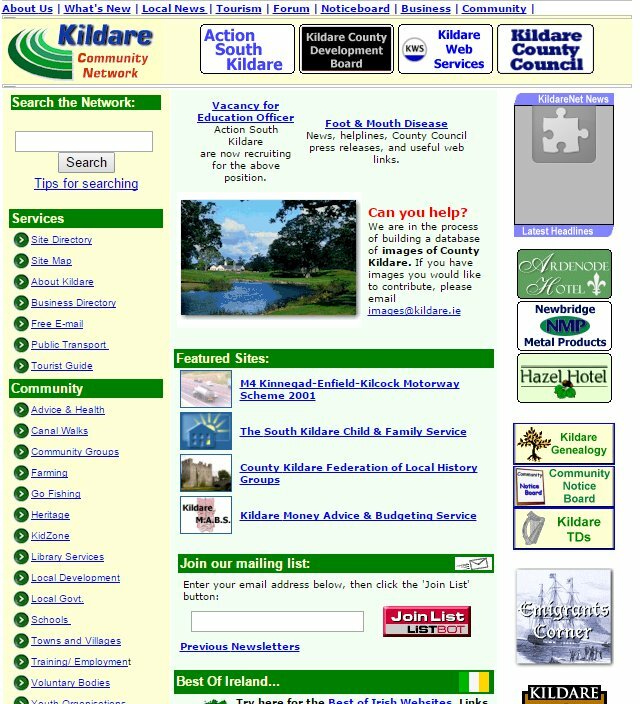 The www.kildare.ie domain went live in January 1998, but the official launch for the website was on December 10, 1998 in the Council Chamber of Kildare County Council, Naas. 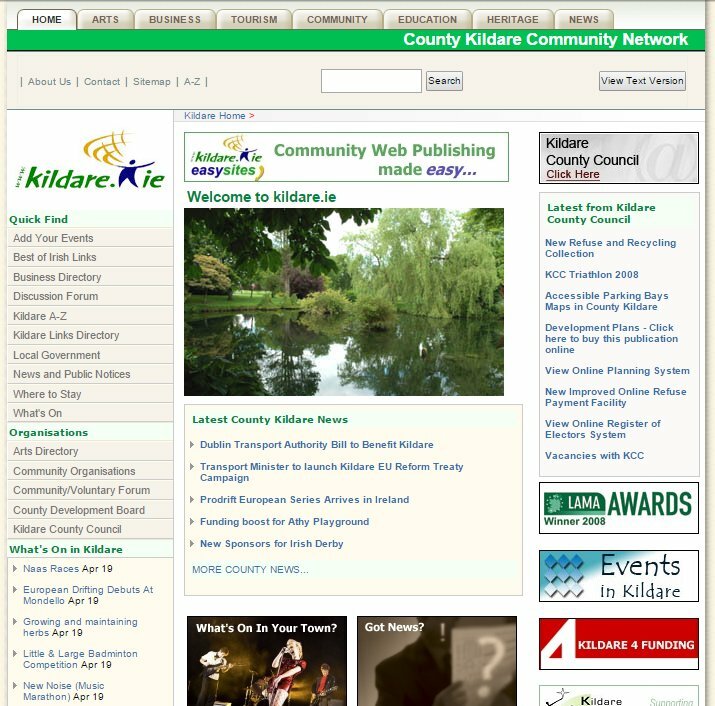 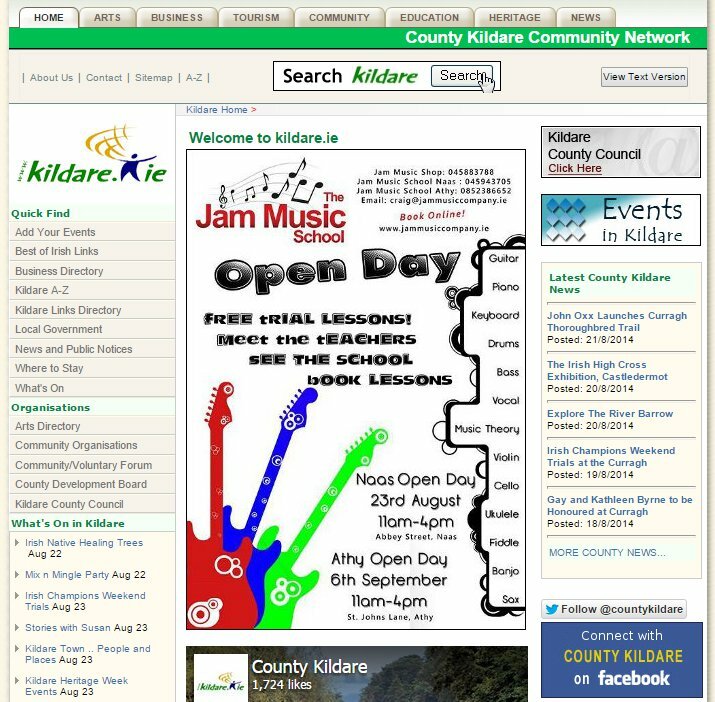 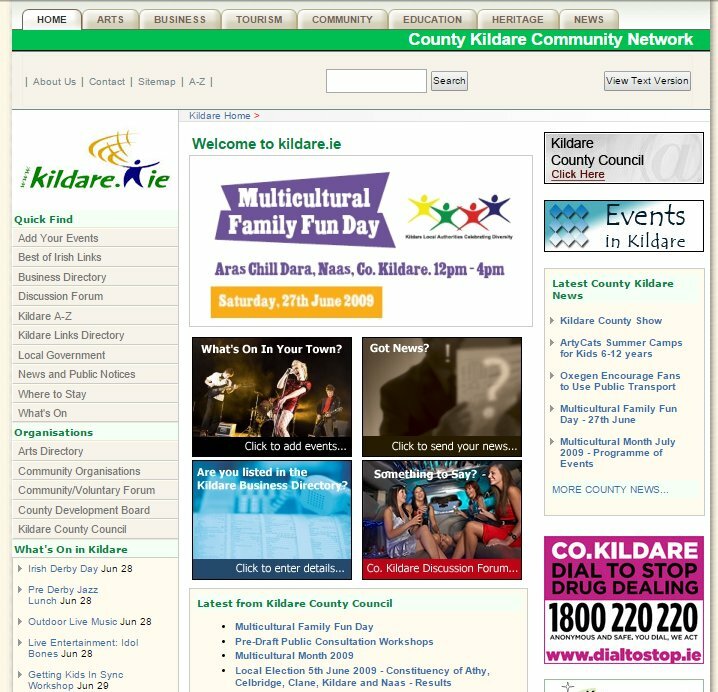 This included the launch of the Kildare County Council section of the website. 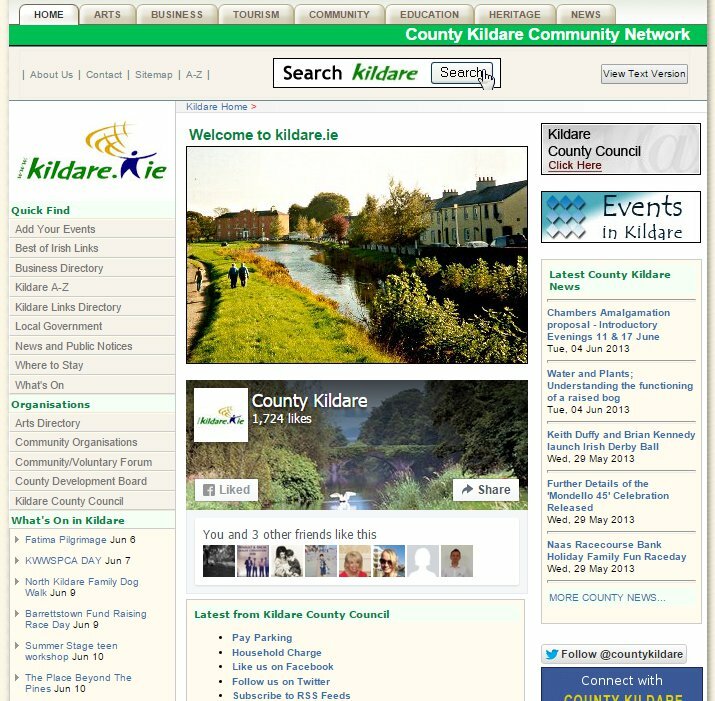 Above: At the launch of the Community Network at the council offices in Naas, R to L Webmaster Reg Youster gives a tour of the site to Colm Flynn (centre, ASK chairperson) and Councillor Jim Reilly, (chairperson, Kildare County Council).